It’s no doubt Singapore has been extremely happy with their Gold medal they won in this year’s Olympic games. So there was definitely going to be some celebration in the country. 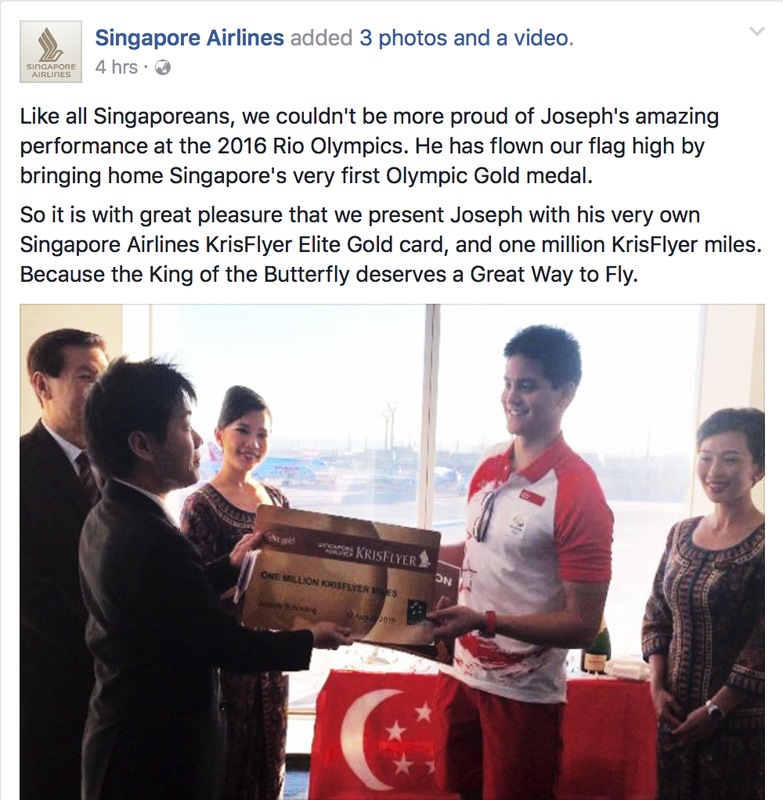 As well as winning a Gold medal Joseph Schooling got a very nice present from Singapore’s home carrier ‘Singapore Airlines’. 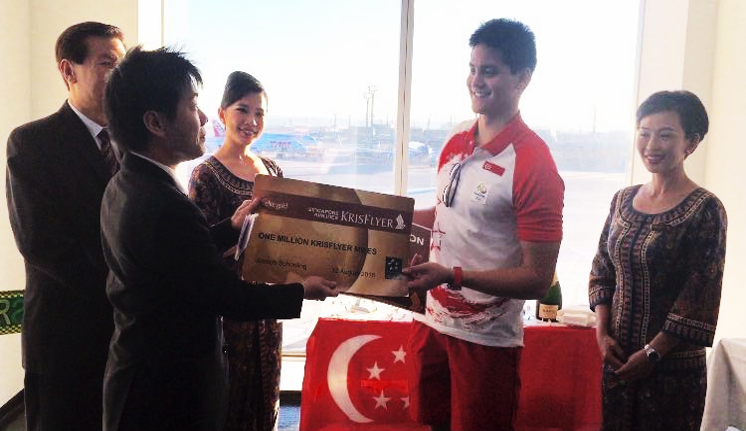 They gave the Olympic swimmer Krisflyer Gold status as well as 1 million Krisflyer miles, that’s a lot of suites redemptions! Here is the picture of Joseph receiving his card. Courtesy of Singapore Airlines Facebook page. Previous Previous post: Is Elite Status Still Worth It?